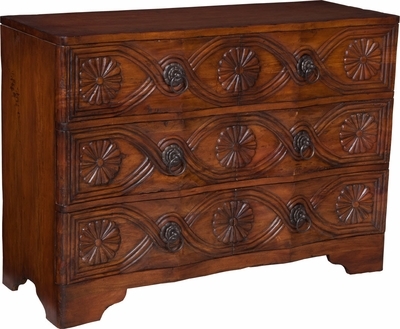 MEDALLION DRESSER - Deep Forest Stain finish on hand carved mahogany three drawer dresser. Antiqued hardware. H 34" x W 48" x Depth 18"